Man’s pain arises from his relations with man. The greatest of the pains for man is the one caused through injustice and oppression. This is a universal truth. Advancement in science and technology or economic progress alone cannot benefit man. Every man is endowed with the natural characteristic of spirituality in him. It is, therefore, important that whatever advancement or progress man has made is matched with the development of the basic human values. In the absence of this equilibrium, the conclusion is that there has been no meaningful progress. Man is both a spiritual and a materialistic being. To cater only to any one of these two, will only result in an imbalance in the natural disposition of man. In the race of this highly consumerist lifestyle man has absolutely forgotten that he has an abstract element within himself which has been neglected. 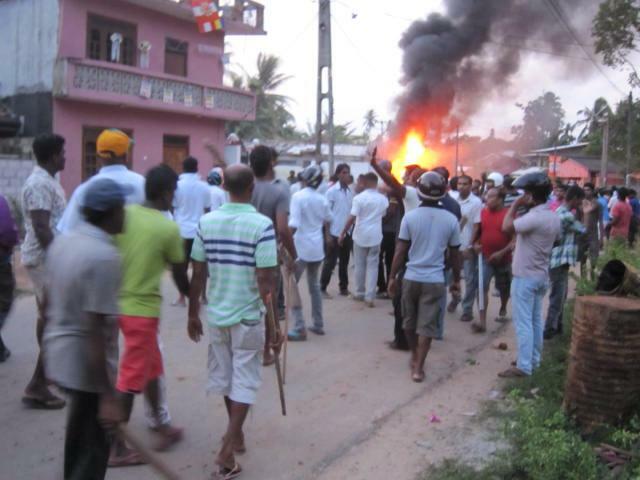 In June 2014, the world witnessed the wanton destruction perpetrated by the monk Gnanasara and his cohorts in Aluthgama. A bunch of lowly cowards who attacked unarmed civilian men, women and children. If not with the explicit, at least the implicit approval of the Rajapaksas, who were the Lord and Masters of that time. Bodu Bala Sena leader Galagoda Atte Gnanasara threatened at the rally prior to the carnage, “In this country we still have a Sinhala police; we still have a Sinhala army…….”. Whose mind set was he representing by such statements at that time remain a mystery? It is appropriate to question whether we are living in a modern democratic state or ….? Many were the tales of non-intervention or complicity by the Police during the June 2014 Aluthgama riots against the Muslims. Several hundreds were made homeless following arson attacks on homes, shops, factories and mosques. More than 10,000 people were displaced. Not to mention the extreme fear they experienced for their lives and the lives of their loved ones. What crime did these innocent people do to deserve such rabid and inhuman treatment by a mob of sissies? The level of hype marketing the war victory was incredible at some of these Ifthar gatherings. Is it not a comedy that in this same month today (June, 2018), the loud speakers are on full blast boasting about the defeat of terrorism in Sri Lanka. While the same war winning heroMr. Mahinda Rajapaksa and, the then, all powerful Defence Secretary in June, 2014 were unable to control a mad monk running amok. Any community of people, anywhere in the world, who are being unfairly treated or left with not many democratic choices cannot be more desolate. This is not a joke. It is becoming serious by the day. Who Is At The Crossroads? History would have narrated a different story, had the Rajapakshes acted with the same feeling of sensitivity and accommodation demonstrated today, at the Ifthar gatherings, four years ago, in the month of June 2014. The series of Ifthar events organised by the Rajapaksas in an unprecedented wave of ‘coexistence in action’, puts the Muslim community in focus. It is relevant to ask who is at the cross roads? Is it political opportunism? Is it the Muslim community? Is it the mainstream political parties? Or, is it an emerging new force in the person of Mr. Gotabaya Rajapaksa? For the Muslims it is a matter of survival in an increasingly unfriendly environment. Added to this pathetic situation, there is no leader to guide or direct the Muslims. Despite not having a leader, this community is as a whole blamed for the actions or inactions of the Muslim politicians. The Muslims, like a rudderless ship, are wading in the waters, most of the time directionless. An extremely sorry state of affairs for a population of over two million people. Their political loyalties are scattered all over. Some based on principles and others on unprincipled policies. The loyalties of another lot defy logic or rational thinking. The traditional supporters of the United National Party continue to support the UNP even if they take the country to the brink of disaster. Not much different are the supporters of the Sri Lanka Freedom Party. It is blue for them even if the country is in the blues. There is then the ardent supporters of the Muslim parties. It is the rest who is there to pick up the crumbs from the Ifthar gatherings. In this lot there are also the unprincipled turn coats. Do not allow your imagination to run riot thinking that this phenomenon is unique to the Muslims only. Such thinking would be incorrect. This is a common factor in other ethnic groups as well. Given these circumstances, the Muslim can easily become pawns for the opportunists. In the absence of a proper leadership, they are prone to take the wrong decision. The average Muslim most of the time just wonders what next to do? For the politicians, who are enthusiastically backed up by the corrupt, it is the insatiable desire for power and glory. For the Corrupt, regaining power ensures deliverance from being incarcerated in the jail. Even the prospect of incarceration for the corrupt now looks like it will never happen. Apparently, if ‘A’ takes care of “B”, when he is power, he can expect some reciprocal protection from ‘B’ when he is in power. On hindsight some of the elders are of the view that this country would have been better off today, had we not clamoured for independence. Even internationally we would be respected. The Rajapaksas would have been hailed as gentlemen had they exhibited more sincerity. A forthright apology to the Muslims for failing to contain the pogrom especially, when they were the all-powerful Lord and Master of this tiny island would have added value. The Muslims do not seek revenge but they are hurt. Terribly hurt. They are hurt to the core of their feelings. That hurt feeling can be balmed only by sincerely acknowledging the mistake and then an assurance of non-occurrence. This would go a long way to bridge the gap for the Muslims from being isolated within a citizenry of the country. 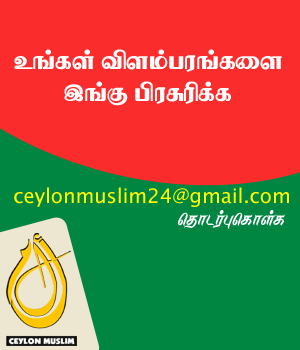 The ‘Gintota Award’, the ‘Ampara Award’ and the ‘Digana Award’ were three major awards conferred by the joint Ranil/Maithri government to the Muslims. Even the Rajapakses would be put to shame by this sterling performance. Violence was perpetrated in all these three places against the Muslims causing losses amounting to several millions of rupees. It would do some good to the credibility of the Ranil/Maithri duo if they efficiently prosecute the perpetrators of the recent Kandy incident at least, leave alone Gintota and Ampara. For additional mileage or, to add another feather in their cap, they can appoint the long called for Commission of Inquiry into the Aluthgama incident. The main question that confronts the Muslims is, ‘Who can they trust’? Evidently both sides have not given protection to the Muslim community. Neither have they given any assurance. Imagine the unfortunate level of divisiveness in our country. Instead of speaking in terms of protection to the citizens, reference is made to protection of a particular ethnic community. The Muslims are today at the crossroad. A gentlemanly Rajapaksa apology or the efficient prosecution and closure of the Digana riot’s accused will have the potential to turn the tables either way. The forthcoming elections will reveal some interesting results. Deliver and you shall be judged. This applies equally to the Rajapaksas and the Ranil/Maithri duo.